If you or your patients love to cook, you are no doubt aware of how mushrooms can add an interesting meaty or woody flavor to any number of dishes, as well as being tasty if eaten raw. Mushrooms are particularly prominently featured in a wide array of traditional Asian dishes, particularly reishi and shitake mushrooms. Reishi mushrooms have somewhat of a woody taste, while the smaller shitake mushrooms have a rich meaty, almost buttery flavor. However, you and your patients may not know that the history of mushrooms as part of Chinese cooking actually goes far beyond just adding flavor to a Chinese stir-fry or mu shu pork. Similar to the use of turmeric as one of the main ingredients for curry in Indian food, mushrooms have a long history as both food ingredients and as medicinal supplements.1 In fact, reishi and shitake mushrooms are thought to have the most powerful medicinal properties of all Asian mushrooms. These mushrooms provide a surprising amount of nutritional benefit, particularly for your patients who keep to a vegetarian or vegan diet, as well as an important bioactive compound that has been shown to have anti-tumor properties. Mushrooms are packed with vitamins and minerals, particularly vitamin B2, niacin, and folate.2 Vitamins C, B1, B12, D, and E can also be found in mushrooms in trace amounts. Interestingly, mushrooms are the only non-animal source for vitamin D, so they are an excellent source of vitamin D for your vegetarian or vegan patients. Polysaccharides constitute one of the most important bioactive compounds found in mushrooms. Although they are thought to help for a variety of health issues, there has been particularly positive research in terms of their anti-tumor properties.2-4 These polysaccharides do not directly attack the tumors, but instead work by activating the body’s natural immune response to boost the ability to kill tumor cells. The researchers found some initial positive findings and called for further research to be done: “The use of supplements as adjunctive therapies for the treatment of breast cancer has shown promising results, such as antiproliferative effects on tumor cells and immunomodulatory activities in the body. However, few articles have examined the effects of supplementation with medicinal mushrooms for the treatment of breast cancer. Mushrooms certainly add a special flavor to your favorite Chinese dishes. However, they also provide many health benefits, particularly in terms of boosting the immune system in the fight against cancer. 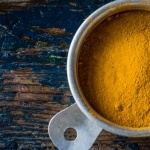 Beychok, T. You’ve already heard of turmeric, but its history is critical for health. Chiropractic Economics. Accessed 10/14/2017. Zhanga M, Cuia SW, Cheung PCK, Wang Q. (2007). Antitumor polysaccharides from mushrooms: A review on their isolation process, structural characteristics and antitumor activity. Trends in Food Science & Technology, 18(1), 4–19. Wasser SP. (2002). Medicinal mushrooms as a source of antitumor and immunomodulating polysaccharides. Applied Microbiology and Biotechnology, 60(3), 258–274. Novaes MRCG, Valadares F, Reis MC, et al. (2011). The effects of dietary supplementation with Agaricales mushrooms and other medicinal fungi on breast cancer: Evidence-based medicine. Clinics, 66(12), 2133–2139. 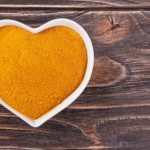 Can turmeric help improve allergies?